Little Caesar's; The world's easiest way to pizza! Home of the $5 Hot-N-Ready Pizza! Little Caesar's Pizza has been proudly serving delicious products for more than 50 years. 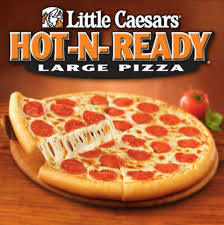 Throughout its history, Little Caesars has provided quality pizza at a great price, resulting in outstanding value for its customers. Quality and value are core beliefs here at Little Caesar's, but the brand also represents passion, fun, commitment, and a focus on the family. 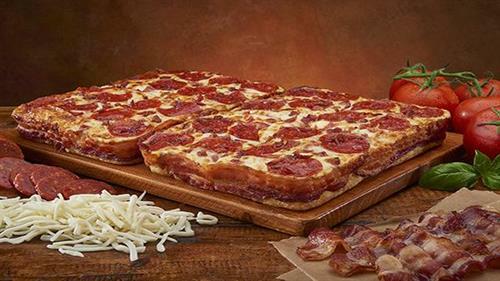 Today, Little Caesars continues to innovate to provide more value to more people in more places. 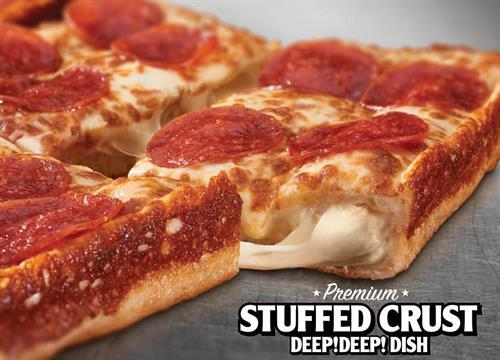 Most importantly, Little Caesars continues to use only the finest ingredients including fresh shredded mozzarella and muenster cheese, sauce made from farm fresh tomatoes, and dough made fresh from scratch every day in each store! The worlds easiest way to pizza! Home of the $5 Hot-N-Ready Pizza! High quality ingredients made fresh every day, for a great value! Right on North Broadway a short drive from Walmart, or a left coming off of 94 West.